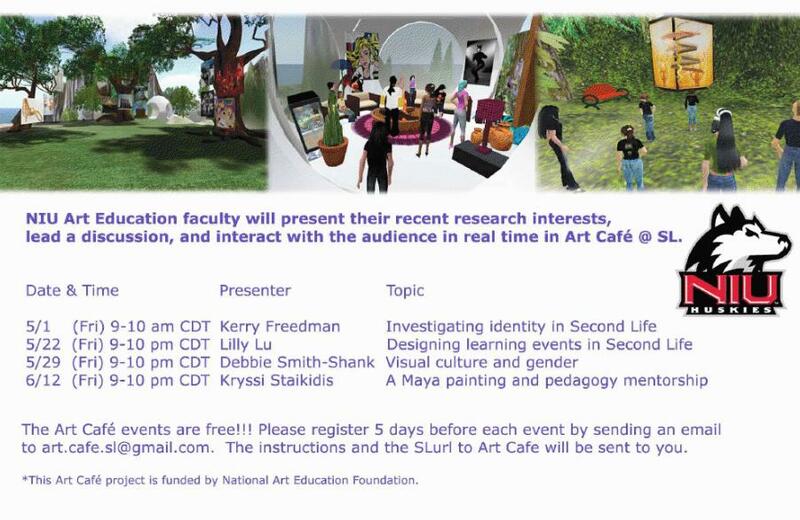 Dr. Lilly Lu invites all of you to come to join the Art Cafe events. We would like to invite you to join our first event in Art Café @ Second Life. Dr. Kerry Freedman will present her recent research interest “Investigating identity in Second Life” and facilitate discussions among participants. The event will start at 7 am (SL time) on 5/1 (Fri) for one hour and it is free !!! Please register for this event ASAP by sending an email to art.cafe.sl@gmail.com by 10pm on April 28 (Tue). We will send out the instructions regarding how to attend this event in Art Café @SL to you via email. If you have not yet created your avatar and would like to learn the basics about Second Life, please let us know. We will host a free workshop in Art Café before the first event. Please make a request in your email. 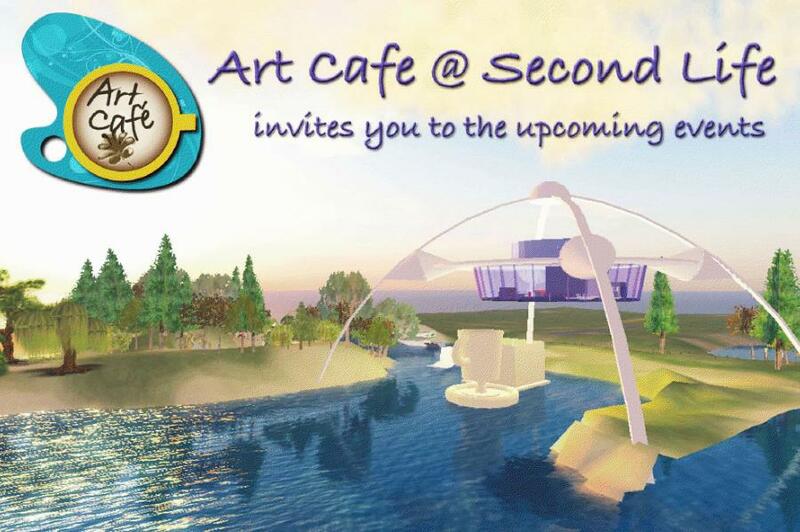 We are looking forward to seeing you in Art Café @ Second Life! For information about the upcoming Art Café events, please check out the attached image file or contact Dr. Lilly Lu at art.cafe.sl@gmail.com.